In early February, we launched our first-ever self-service platform called Ads Manager for location targeting. The platform allows anyone (even your mom or dad!) to set-up a location-based marketing campaign in the matters of minutes. 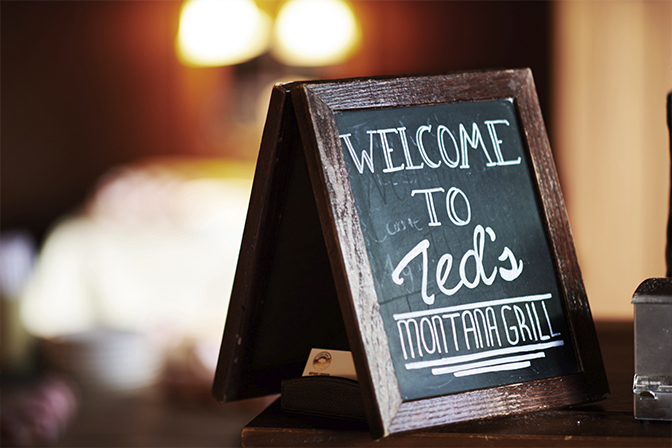 To understand its true value in the market, we sat down with an early adopter and advocate, Ted’s Montana Grill, which has over 45+ locations across the United States and its PR and Marketing Manager Derek Walls. 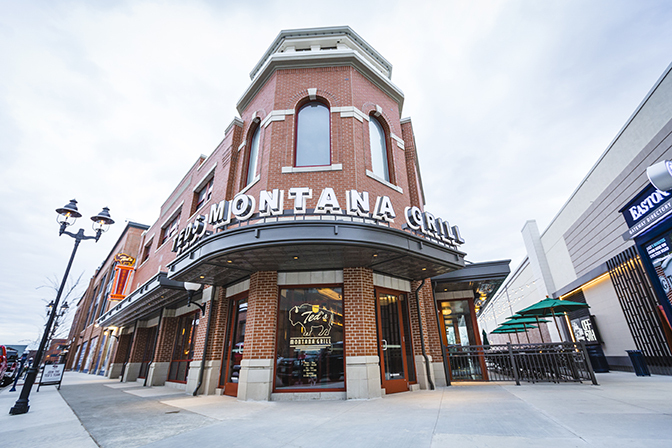 Ted’s Montana Grill was founded in 2002 by media entrepreneur Ted Turner and restaurateur George McKerrow Jr. Can you tell us a little bit about the company today? Ted’s Montana Grill is the modern day American saloon. We serve food the way it originally was intended: simple, honest and authentic. All of our dishes feature fresh, made-from-scratch comfort food and served in an environment that embodies the true meaning of genuine hospitality. On the individual restaurant level, we try to source as much as we can locally per market. To tie ourselves more closely to our local farmers, we now list each of them on our printed menus. Ted’s is also rather unique as we feature bison in addition to the usual beef or other protein. Bison is a cornerstone to our menu and we currently serve more bison in our restaurants than any other restaurant in the world. What are some of the team’s marketing goals for 2018? At Ted’s Montana Grill, we believe that above all else, guest count is what shows the strength of our business. It’s always important for us to drive new guests, and this year we’re focused on that in addition to increasing the frequency of those already familiar with the brand. The team recognizes that we have to retain a consistent presence to remain relevant and top-of-mind to each of our guests and potential guests. Ted’s is not your everyday average steakhouse and we have a lot of unique offerings that set us apart from our guests. This year, we’re taking extra steps to ensure that we highlight these key differentiators across all forms of media and focus on storytelling that drives genuine connections between the restaurant and its guests. What type of advertising have you invested in in the past? Our marketing mix is rather expansive and varies by market. Across the board, we’ve focused on various forms of digital media including social media, review sites, online display networks and more. We currently support all restaurants with GroundTruth, as well as Facebook, Instagram and Yelp. How has mobile and location marketing become a bigger part of your strategy in the last few years? Initially, location-based advertising was an opportunity that we didn’t fully embrace. We only first agreed to do a test campaign of $500 on the self-serve platform, Ads Manager. However, after the test we saw a 10x return on ad spend, and we’ve been a partner ever since as we see great value in location-based advertising. What was the problem you were trying to solve when you implemented this campaign? Similar to many other brands of our size, we have struggled in the past with measuring visits or ad value as it pertains to attribution or concrete performance metrics that correlate to increased sales. GroundTruth solves one of our attribution problems without having to integrate into our POS system or local internet connections, by tracking physical location signals. After the first campaign, you continued to test others on Ads Manager. Can you tell us more about the results you saw? We monitor the performance of our advertising daily and are able to compare measured visits to restaurant sales. As a result of our Q4 2017 campaign, we were able to see a 12x return on ad spend in Atlanta, which is our largest market. For the quarter, we experienced an increase in overall sales by .45% in comparison to our competitive segment, which experienced a -.1% decline in sales. As if we needed additional evidence that our location-based advertising strategy was working, we identified a suitable control market with only one location. In that location, we only ran GroundTruth mobile ads for the entire quarter. As a result, we were able to achieve a 20x return on ad spend and a 4.3% increase in same store sales. How are you planning to incorporate Ads Manager into your 2018 plan? While we have worked our way up from the initial test campaign to now supporting the entire network, we plan to continue our efforts in Ads Manager. We’ve seen great success in developing individual plans that support every restaurant. As I previously mentioned, one of our goals this year is to increase guest count by appealing to new and existing guests on a personal level. By creating these local campaigns base on proximity and overlaying messages tied to interests or behaviors, I feel that success is definitely achievable with our current media mix. Beyond Ads Manager, we’ve got a lot going on this year; from launching a newly designed menu and incorporating new menu offerings, to heightening guest experience in the restaurant. You could say that this year we are aligning ourselves even more closely to our core brand attributes and making every decision with the guest in mind – including the further incorporation of types of media that our guests prefer to receive. Any last minute ‘fun facts’ about Ted’s Montana Grill we should know? Aside from our iconic co-founders, people might not know that Ted’s Montana Grill is deeply invested in sustainability. The restaurants make a conscious effort to remain as plastic free as possible and only serve drinks with paper straws. We only use Boraxo powdered soap in our bathrooms, which has less of an impact on our environment and we have a number of operational standards in place that reduce our water consumption. All of these ideals, in addition to many others were passed down by our co-founder, Ted Turner, who is a passionate environmentalist. Interested in learning more? Sign up for Ads Manager today.